Anyways, today I am talking all about beauty products! Although fashion and clothes have my heart, everything that has to do with beauty is in 2nd place lol. Today I'm sharing some products that I have really been loving; some you've seen before, and some are brand new, and they are great for Spring. This is a really interesting lip product, and it really lives up to its name. It's kind of like a lip balm with a tint of color, which in this case, its red! I have been using this during the day sometimes when I don't feel like applying any color to my lips, especially when I am at work. The consistency is great and the color is buildable, so whether you want a slight red tint or wear it over you're favorite red lipstick, it is great for everyday wear! This quad is so great for everyday! I've used it a couple of times and I really enjoyed it. Although I do not use eyeshadow too often, I would definitely recommend this quad. It has great neutrals that are versatile to wear during the day and night. I also really like the packaging! It's sleek and has magnetic closure, so you could take this baby on the go anywhere! I am sure you're sick of reading (and hearing) of how amazing this mascara is. But I continuously talk about it because it is worth the hype, and YOU need it in your life; like, ASAP! Here's another look at some of the products that I was talking about above from Fiona Stiles! I also love that this brand is high-end, but it's still so affordable if compared to other brands, which I truly appreciate, and had to share with you all. You could check out other products HERE! I love trying out new mascaras, and this one is really good. What I thought is really unique about this mascara is that its a purple hue, as opposed to the usual brown or black. But even though its purple, you cannot tell when you apply it; when applied it looks black! It separates my lashes and gives them great volume in the most delicate matter. It's a little hard to explain, but there's absolutely no clumping and it applies evenly on your lashes (no spider lashes here!). I know these kits are pretty difficult to get your hands on each time they are released(restocked) on their website; but trust me, if you really want one, keep trying! They are usually restocked during the weekend or the beginning of the week, just stay updated on their instagram! And please, DO NOT buy from someone that inflates the price to $60-$100 a pop, that's just plain ridiculous. Be patient and pay your $40 for a kit. 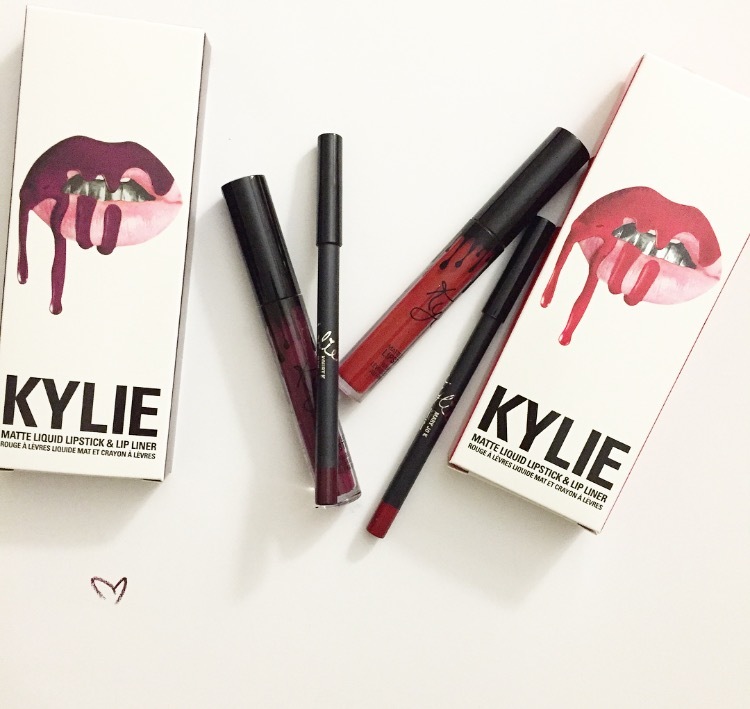 (They are each $29 for both a lipstick and liner, but with shipping, its about $40). In my opinion, they are worth buying but not for a higher price! I raved about this scent in social media, and now here on the blog, lol. It smells amazing. EVERYONE needs this perfume in their life. It's quite difficult to describes scents, so I won't try but here is how they describe it online: "A delicate caress of pure white magnolia & silky soft cashmere". It's magical! *Fiona Stiles products were sent to me for consideration; all opinions are my own. * Ralph Lauren 'Tender Romance' was sent to me by Influenster to review; all opinions are my own.